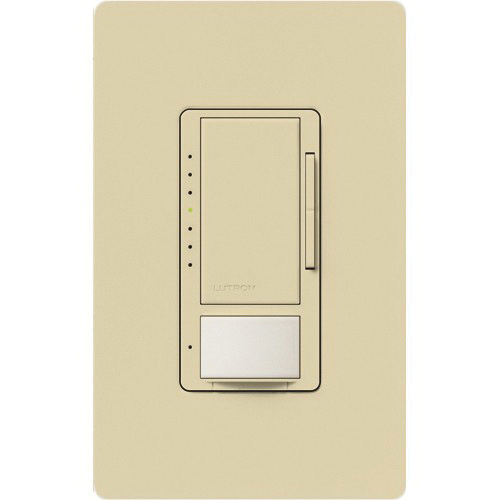 Lutron Maestro® CL® 3-Way 1-Pole Multi-location digital fade dimmer occupancy/vacancy sensor in ivory color, is rated at 120-Volt AC at 60-Hz. Gloss finished sensor with rocker/tap switch actuator, offers On/Off action and high-low sensitivity adjustment. It has a dimension of 2.94-Inch W x 4.69-Inch x 1.437-Inch. 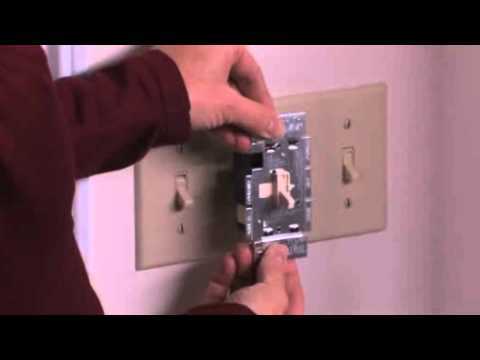 It has designer wallplate opening and works with up to nine companion dimmers. The line frequency compensation keeps the light levels stable despite power line frequency and voltage variations. Wall box mountable sensor has incandescent/halogen load capacity of 600-Watts and dimmable CFL/LED load capacity of 150-Watts. It offers reliable dimming of 0 - 10-Volts fluorescent and LED fixtures. The passive infrared sensor works with Lutron exclusive XCTTM technology. Occupancy/vacancy sensor is ideal for commercial and residential applications. It operates at temperature range of 0 to 40 deg C. Occupancy/vacancy sensor is UL listed and meets NOM standards.